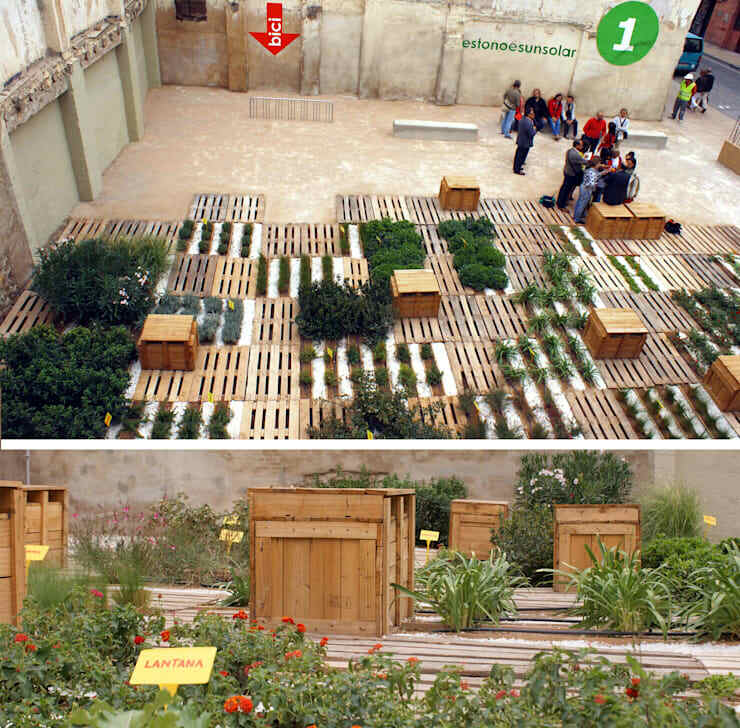 After many surveys focusing on the Old Town part of Zaragoza made from 2004, different serious problems in the configuration of the public space were detected. Many of them refer to the problem of having an “urban decent standard of living”; others were about non-built sites affecting not only the aesthetics of the urban landscape but also presenting very low health and sanitary conditions. After the process of registering the over 200 non-built sites in the Old Town, it was detected that there were mainly in the districts of San Pablo and la Magdalena where could be found the majority of them, highly depressed areas with a high degree of social conflicts. These abandoned areas that were progressively deteriorating and transferring its conflicts on the public space were studied. 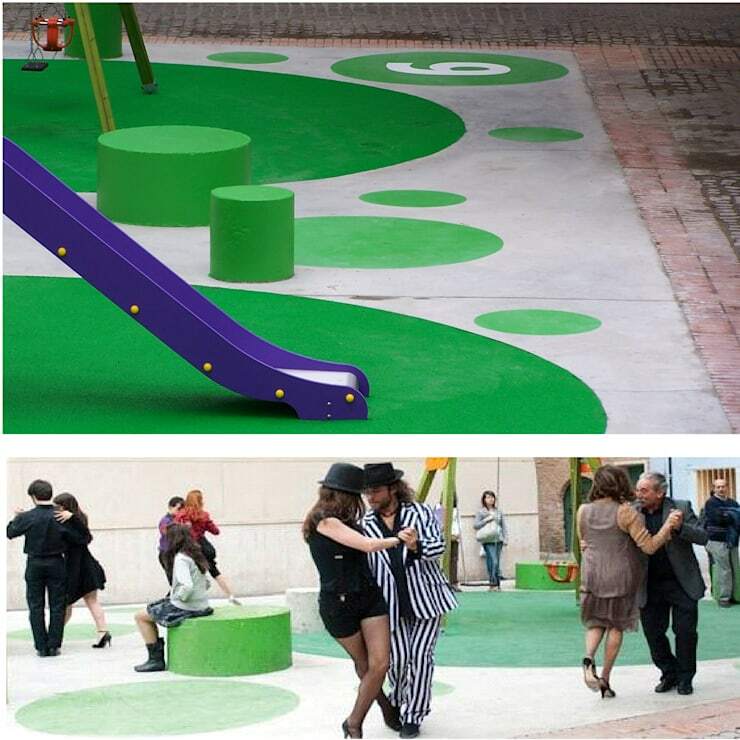 This absurd interruption of the urban fabric producing a process of degradation in the streets was infecting in an unmistakable way the public area and therefore the citizens living there. The situation mobilised several associations of residents asking the Municipal Government for a solution. The objective was the temporary occupation of non-built sites in the Old Town, both privats or publics, offering different temporary uses in order to reach a 100% use. 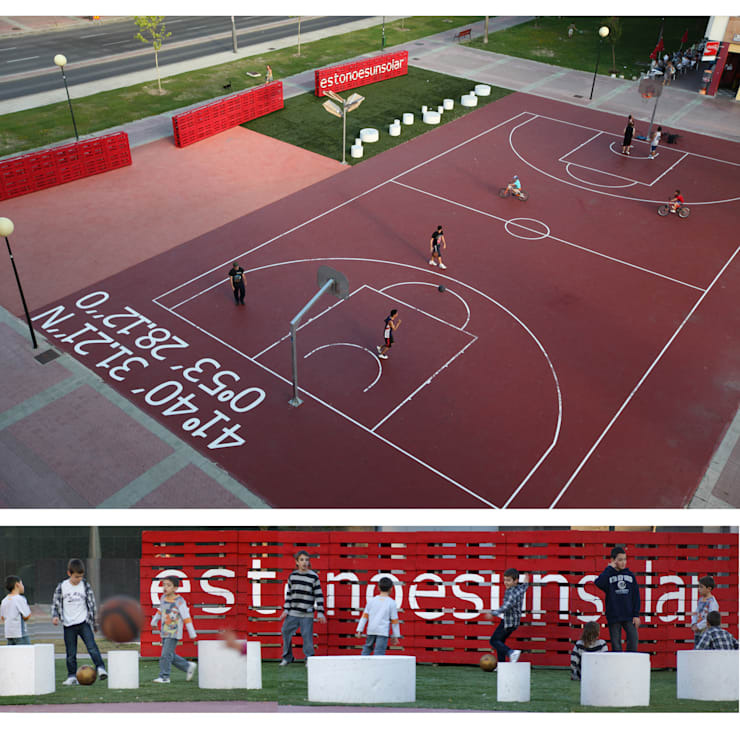 All these energies converged in the program “estonoesunsolar” that collected proposals from the architects, citizen associations, schools, old care centers .. channelled thanks to the institutional support of the Zaragoza City Council and being managed by Sociedad Municipal Zaragoza Vivienda. The suggestion of the emptiness, the hollow place, the invisible and the silence has been valued. These temporary swellings of the fabric of the old town is a dynamic and changing (temporary) tool allowing us an alternative and flexible reading of the city and the public space. Empty spaces are trusted as a force for creating situations and events. Different agents and complex relations converge in every empty plot of land. This aspect has implied a mixing of complex and intricate agreements with owners. 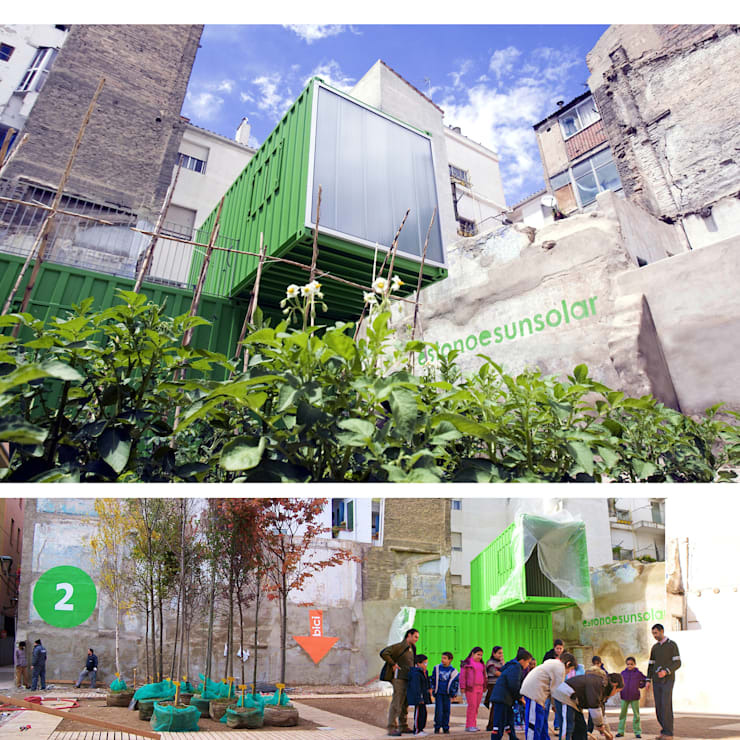 The program began in 2009 in 14 plots in the Old Town and then in 2010 was extended to the all city, upcycling other 14 urban voids in public space. All these ideas have finally crystallised in concrete interventions. Every non-built site contains an idea; every space is the wish of the residents before the “unreasonable silence of the world”. All the proposals have emerged from processes of citizen participation. A bet has been made on “immaterial” ethereal solutions expressing the provisional character of its presence and establishing dialectics with the already built surroundings through lightness. Every one of the 28 interventions has been a meeting point for citizen’ s requests and the landscape. An intervention has been made on the banks of a re-evaluated river serving as meeting point for children, youngsters and old people. Another intervention has been placed in a half-point between an Alzheimer centre and a centre for children. Work has been done using the concept of memories and the memory. 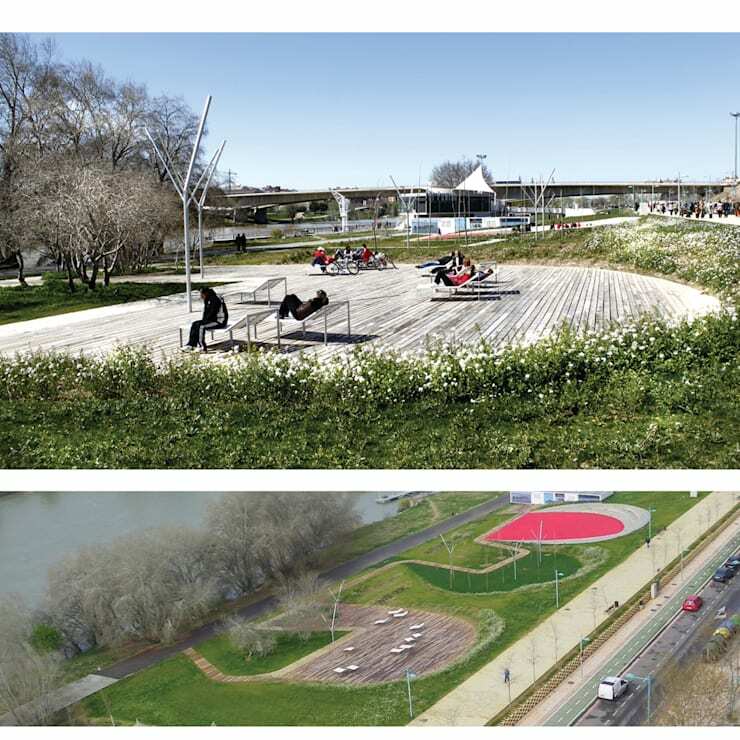 Another action has been implemented in an edge point of the city, in its meeting point with the landscape through different urban orchards that melt with the surrounding landscape. This has been made in every non-built site strategically chosen. 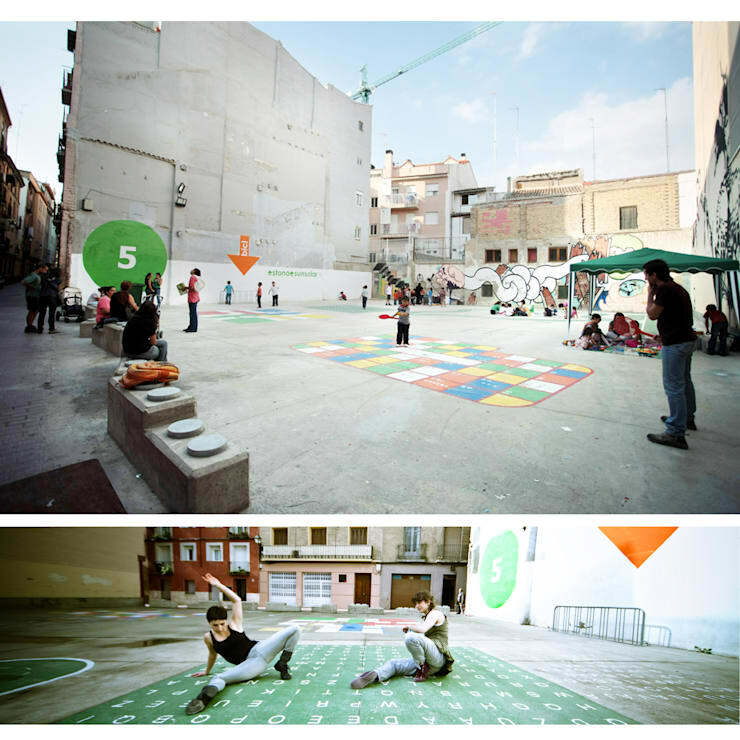 42,000 m² of public (transitory) space has been added to the city, in collaboration with over 60 citizen associations. 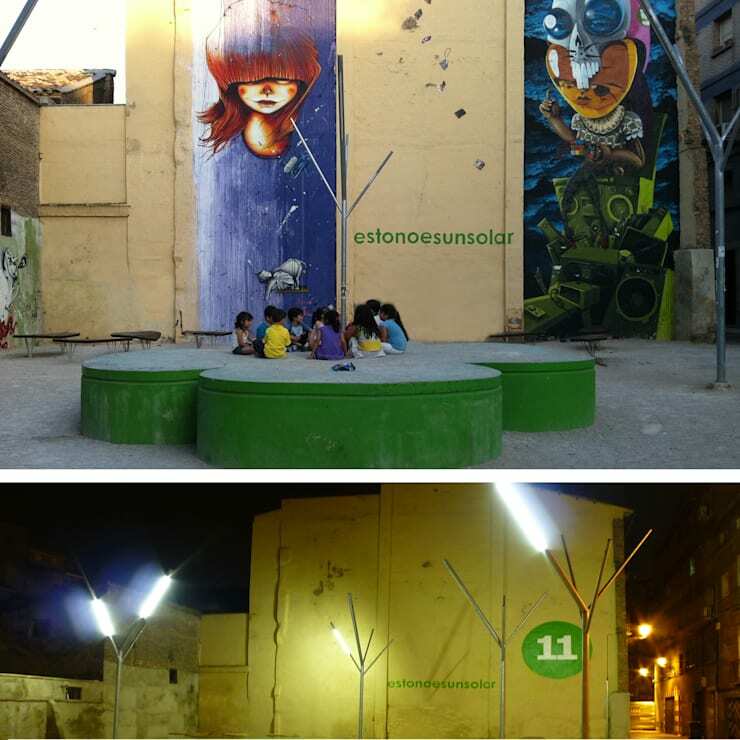 Two years after launching the program “estonoesunsolar”, it can be affirmed that its objectives have been widely reached. The processes of citizen participation in the many targeted non-built sites have been “implemented”, 28 empty plots and 42,000 m² of public space have been added to the city. Interventions in depressed areas has been the excuse to draw up strategies of social cohesion. 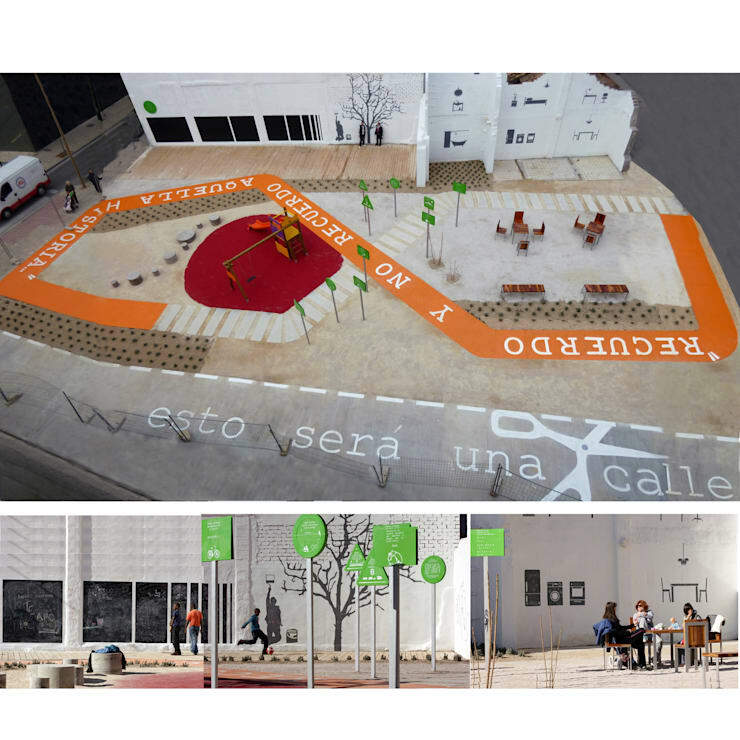 The objective in all of these areas has been to revitalise the city with uses and parallel activities, planning these spaces as places for participation and exchange. On the other hand, the citizens have received these processes as if they belonged to them, producing an intensive implication in all the stages of the projects. This program has also served to activate an employment plan for people suffering a risk of social exclusion (110 new employment for unemployers). There have been many difficulties, from a very tight budget to those deriving from the intense and complex social and personal relations but all of them have served in the end to activate creative processes from complicity and hope.